This festival's prestigious reputation for quality music in intimate surroundings means tickets always sell out very quickly. The music is much more than traditional folk. The line-up includes an exclusive UK outdoor Festival appearance by singer k.d.  lang, songwriter and guitarist Joan Armatrading, festival favourites the Levellers who are proudly celebrating their 20th anniversary and the multi-cultural collective The Imagined Village. Other artists include Billy Bragg, Richard Hawley who replaces John Hiatt, Judy Collins, Allen Toussaint, Seth Lakeman, Eric Bibb, Eliza Carthy, Martha Wainwright, The Waifs, Altan, Peatbog Faeries, Tim O'Brien, Karine Polwart, Michael McGoldrick Band, Laura Marling, Bassekou Kouyate & Ngoni Ba, Tunng, Kila, 3 Daft Monkeys, Noah & The Whale, 6 Day Riot, Findlay Napier & The Bar Room Mountaineers, Megson, and The Shivers. For the line-up details as available please click here. The price of a full weekend ticket is £100, a young person's ticket (age 14-15)is £70, children tickets (age 5-13) are £27, and children under 5 are free. Camping is available priced at £30 or £45. Caravan/camper van tickets are £60. Day tickets are available priced at £33 for Friday or £44 for Saturday or Sunday. Full Festival, Friday, Saturday and Sunday tickets are now sold out. Coldhams Common camping is still available to Full Festival ticket holders. To buy tickets click here.